The pig has agreed to pose for the impassioned artist because he is eager to see his true, inner self brought forth and captured for eternity. Like all sensitive souls, the pig is moved by the drive to experience the wonder, the sheer generative power of art. So when the accomplished artist—you can gauge his skill by his beret, effete mustache, sandals, and the patch on his trousers—asked the pig to pose for him? Well, who could refuse? And the result is everything the pig imagined! Just seeing his truest essence revealed is a natural poet's dream. And get a load of that truest essence! 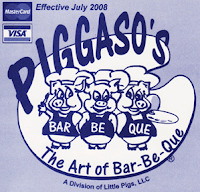 When the artist looks deep within the pig's trusting eyes, he sees… a big slab of bones and flesh cooking on the grill. No subtle dance of emotion and thought. No questions gathered and scattered to the stars. No search for meaning. Just… a big thing of meat. Which, after all, is everything the pig hoped to see. 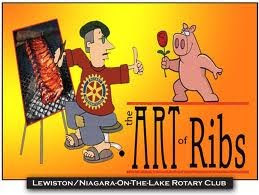 Addendum (1/02/11): More art-loving pigs. The more speechless a suicidefood image leaves me, the more I feel the need to comment. This one makes me sick in a new, complicated way.